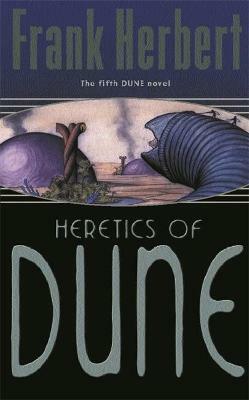 From Dune to Rakis to Dune, the wheel turns full circle. From burning desert to green and fertile land and on again to burning desert ... the cycle is complete. The people of the Scattering are returning. Amongst them, mysterious and threatening, are the women who call themselves the Honoured Matres, adepts of an ecstatic cult. "A monumental piece of imaginative architecture... indisputably magical." -"Los Angeles Herald Examiner" "Gripping...Fascinating detail, yet cloaked in mystery and mysticism." -"Milwaukee Journal" "Herbert weaves together several fascinating storylines with almost the same mastery as informed "Dune", and keeps the reader intent on the next revelation or twist." -"Challenging Destiny"